Actions seeking collective redress were introduced in the Spanish legal system by Act 1/2000 of 7 January on Civil Procedure (the Civil Procedure Act) as an instrument specifically dedicated to protecting consumers’ interests, but they did not become widespread until the advent of the financial crisis, becoming popular in order to challenge financial and banking services contracts. As explained in the preamble of the Civil Procedure Act, collective actions regulation is not intended to create a special proceeding, and, therefore, its regulation is scarce and limited to some specific procedural rules spread throughout the Civil Procedure Act (Articles 11, 15, 221, 222, 519, etc.) to complement the two existing proceedings (ordinary or oral). This lack of regulation on the Civil Procedure Act has generated a vast number of problems when the number of collective actions filed before the courts has increased, demonstrating that Spanish regulation is far from being perfect and some amendments have to be made in order to improve and refine the system. The evolution of collective actions in Spain has gone hand in hand with the consumer law promoted by the European Union and the development of EU Directive 93/13/ECC of unfair terms in consumer contracts. The most relevant issue regarding collective actions was mainly focused on some controversial judgments issued by the Provincial Court of Barcelona denying the possibility to start an individual claim on the same grounds after the collective action had been filed. The interpretation of the Provincial Court, affected many individual claims already filed before the courts by thousands of consumers and revealed significant controversies with regard to the effects of judgment of a class action to non-litigants, whatever the outcome, and not only if it is beneficial, as Article 222(3) of the Civil Procedure Act states that ‘judgments shall affect all the parties to the proceedings, including their heirs, as well as non-litigants whose rights found the standing to sue of the parties under Section 11 of this Act’. In the aim to clarify the situation, Mercantile Court No. 9 of Barcelona requested a preliminary ruling of the Court of Justice of the European Union (CJEU) concerning the interpretation of the Spanish legislation on collective claims on the light of Article 7 of Council Directive 93/13/EEC of 5 April 1993 on unfair terms in consumer contracts. The judgment issued by the CJEU on 14 April 2016 ended the discussion and stated that individual actions could not be automatically suspended concerning an ongoing collective action brought by a consumer association; therefore, both individual and collective actions can coexist in a separate court procedure. The interpretation of the CJEU was also confirmed by several rulings of the Constitutional Court of Spain, which set aside the judgment of the Provincial Court of Barcelona and established that any provision preventing an individual action to be filed before the Court when a class action has already been filed is contrary to the constitution. The most significant change in Spanish civil procedure in 2017 was because of the transposition of the Directive 2014/104/EU of the European Parliament and of the Council of 26 November 2014 on certain rules governing actions for damages under national law for infringements of the competition law provisions of the Member States and of the European Union (the Antitrust Damages Directive). The implementation of the Antitrust Damages Directive by the Royal Decree-Law 9/2017, of 26 May, which also transposes directives of the European Union in the financial, commercial and health fields, and on the movement of workers, reinvigorated the debate about class actions in Spain as many scholars considered them the ideal instrument for the injured parties (not only consumers) to claim damages arising out of antitrust infringements. 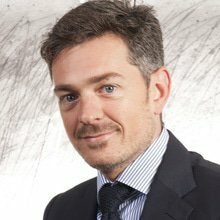 However, the difficulties of forming a new government and the delay in the transposition of the Antitrust Damages Directive finally excluded class actions from the regulation of the Royal Decree-Law 9/2017, which introduces significant developments for the claimants of antitrust damages such as the right to obtain the disclosure of evidence relevant to their claim, both from the defendant and the national competition authority, as well as the recognition of the right to claim damages by the person that acquired the claim. Despite those achievements, it must be pointed out that the parliamentary process to pass the Royal Decree-Law 9/2017 into a Law is not concluded yet and a collective mechanism to obtain compensation for antitrust damages may still be included, which would be desirable if we take into consideration that antitrust infringements require a collective redress mechanism in order to be effective for the plurality of individuals that have suffered a harm. Following the trend initiated in recent years, Spanish consumer associations have filed numerous claims on the basis of EU Directive 93/13/ECC on unfair terms in consumer contracts. Once again, the most significant collective actions filed before the courts in Spain were related to financial contracts in order to remove unfair clauses from the financial institutions’ model contracts, in particular, the mortgage expenses clause or the application of the official Spanish mortgage index IRPH. 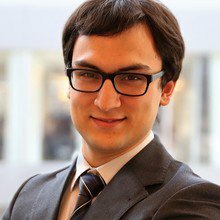 It was also as a consequence of a collective action challenging a floor clause insert in a financial contract that the Supreme Court had the opportunity to analyse, in its ruling 367/2017 issued on 8 of June 2017, the res judicata effect of the judgment for the pending individual actions. Therefore, the judgment concluded that the abusive nature of the clause for the reasons expressed in that judgment will be binding for individual actions, except when exceptional circumstances, referring to the client’s profile or to the information provided by the predisposing bank in that particular case, may justify a different ruling. Beyond the financial sector, the ‘dieselgate’ scandal also resulted in the filing of a collective action before the commercial court of Madrid by a consumer and users’ association against the vehicle manufacturers in order to claim economic compensation for those consumers who acquired manipulated vehicles. Finally, the telecommunications industry was also targeted as a consequence of abusive practices in the billing of unsubscribed clients, resulting in the filing of a collective action for an injunction before the commercial courts of A Coruña by the public prosecutor, to obtain a cessation and prohibition order in defence of consumers and users. Contrary to other legal systems with a longer tradition, the Spanish regulation on collective actions establishes a representative system that only grants consumer associations and the public prosecutor the procedural standing to initiate the action. The minimalistic regulation of collective actions provided by the Civil Procedure Act does not regulate the specific requirements that a collective claim must fulfil in order to be accepted by the courts, such as numerosity, commonality, typicality or adequacy of representation, frequently resulting in notable delays and serious difficulties in bringing forward the proceedings. From this point on, we will analyse the singularities of the Spanish civil procedural system for the purpose of examining the most relevant rules set on the Civil Procedure Act in order to fit collective claims that will be analysed hereunder. According to Article 11 of the Civil Procedure Act, class actions are permitted in all areas of law that involve consumers’ or users’ interests or rights, which means the individuals that have been damaged by the wrongful conduct must be categorised as ‘individuals acting for a purpose unrelated to their commercial or business activity, trade or profession’ as it is defined in Article 3 of the Royal Legislative Decree 1/2007 of 16 November on Consumers and Users (the Consumers and Users Act). for the protection of ‘diffuse interests’ for cases in which the affected group is undetermined or difficult to determine (Article 11.3). There is no certification of the class process on the Civil Procedure Act, but the grounds of the claims brought by the consumers or users are also relevant because collective claims are not admitted in case each claim should have been analysed on a case-by-case basis. There is no specific court that deals with collective actions, so the commercial courts will have competence if the claim is seeking consumer redress based on unfair or abusive contract terms or if the claim is related to mercantile matters (i.e., a claim seeking a competition unfairness declaration and the damages arising from the unfair act). The action starts with the filing of the complaint by a consumer’s association or the public prosecutor as Article 11 of the Civil Procedure Act does not entitle individuals to bring a collective action for damages before the court (like US class actions), even if the organisations entitled to sue do not start the proceedings. groups of affected individuals, but only when it is constituted by the majority of those users affected. The Civil Procedure Act provides for the best notice and publicity to be given to all affected by the collective action and the possible intervention of individual consumers and other associations on the proceedings. It must be pointed out that the Spanish collective redress scheme it not available for companies that do not fall under the definition of consumers or users; however, this does not preclude the possibility of companies bringing a joint action, though they may arise from different titles, as long as they are not mutually incompatible, which, for example, would be the usual scenario for companies damaged by a cartel (Ruling of the Supreme Court, No. 344/2012, 8 June also known as the Sugar Cartel case). The Spanish procedural civil system is based on the principle of preclusion of allegations; therefore, the claim filed before the courts must include all factual allegations on which it is based, in as much detail as possible, as well as the legal grounds on which it is based. The filing of the claim will determine whether the proceedings must be handled through ordinary proceedings – when the amount claimed is more than €6,000 – or oral proceedings – when the claim is €6,000 or less or when the proceedings refer to specific matters – which are two basic declarative procedures for seeking compensation. It must be pointed out that an important amendment to the Civil Procedure Act was introduced by Act 42/2015, dated 5 October to reform verbal proceedings by introducing a written statement of defence, which did not exist previously, and removing the obligation to hold oral hearings in all cases, making them more similar to ordinary proceedings. According to the collective redress scheme provided by the Spanish legislation, the filing of a collective claim opens a second phase based on an ‘opt-in’ system, where the Civil Procedure Act regulates two different alternatives to notify the initiation of the proceedings to the consumers, depending on the type of action. When the group members are identified or easily identifiable, the claimant must notify the consumers of its intention to file a claim, and the individuals will be entitled to ‘opt-in’ the proceedings at any time. When the members are undetermined or difficult to determine, the court must announce the admission of the claim through media, suspending the proceedings for no longer than two months, after which expiration, individual consumers will not be allowed to join the proceedings but will be able to benefit from the enforcement of the judgment. The determination of the group members has generated major problems in practice, as some of the courts have considered it to be possible in collective claims that were filed by the claimant in representation of undetermined members, provoking huge delays in the proceedings. Once the proceedings are initiated and the defendant has been notified of the claim, the brief in response will have to be filed before the court in a period of 20 working days in ordinary proceedings and 10 working days in oral proceedings. The principle of preclusion also applies on the facts or events on which the defence is based, and the Civil Procedure Act is very strict on the parties when they exceed deadlines. Therefore, any documentary evidence and expert reports will have to be attached to the brief of response that will have to be filed before the indicated periods have elapsed. After the filing of the brief of response, the court will call the parties to a preliminary hearing in which they will have to set out the evidence they are going to submit and will be presented in the trial before the judge (there is no jury in Spanish civil procedure). request for documents during the preliminary hearing. It also has to be pointed out that, since the recent transposition of the Antitrust Damages Directive into Spanish law by Royal Decree-Law 9/2017, specific provisions concerning the disclosure of documents relating to a competition law infringement have been introduced into the Civil Procedure Act to provide the parties with a mechanism to obtain the information from the other party or the competition authorities in order to prove damages. where such determination is impossible, the judgment shall establish the details, features and requirements necessary to demand payment and, where appropriate, to apply for or take part in the enforcement of the judgment, if requested by the claimant association. Article 222.3 of Civil Procedure Act regulates the extension ultra partes of res judicata in collective actions, allowing the individual consumers who did not join the proceedings to benefit from the enforcement of the collective action final judgment. The enforcement of the judgment in collective actions shall follow the standard procedure, but the Civil Procedure Act establishes a procedural issue to be used by the consumers who did not join the proceedings to prove that they meet the requirements of the proceedings to benefit from the judgment. Collective actions follow the principle of full compensation; therefore, the action is intended to restore the claimant to its position prior to the wrongful act, and punitive damages are not allowed in Spanish legislation. All types of damage – even moral – are recoverable as long as the claimants can establish beyond a doubt that there is a cause and effect relationship between that damage and the acts or omissions of the defendant. the arguments of the losing party are not totally dismissed. In those cases, the court will not make an order for costs, and each party will bear its own costs. Finally, quota litis agreements and third-party funding are fully valid in Spain and becoming more popular nowadays. The Civil Procedure Act provides no specific regulation related to the settlement of collective actions. Therefore, and although it is unprecedented, it shall be permitted following the same principles as individual actions, and could only be rejected by the court if it harms the fundamental individual rights of any of the parties or the interests of third parties. The Civil Procedure Act contains no specific regulation that considers cross-border issues, and we are not aware of any collective claim involving foreign issues, according to the Spanish lack of tradition on those cases. However, Spain may be the competent jurisdiction to hear claims filed by consumers and users residing in Spain according to the provisions stated in the Regulation (EU) 1215/2012, on 10 January 2015, which has led to positive changes in the Spanish procedural framework updating the provisions on jurisdiction, and on the recognition and enforcement of judgments in civil and commercial matters included in Regulation 44/2001. Regulation (EU) 1215/2012 will facilitate the execution of judgments within Spain, which will be of great importance, given that Spain has traditionally been a country that receives judgments from other EU countries. The deficiencies in the current system of collective actions in the Civil Procedure Act are impelling alternative methods for individuals to appear before the courts by assigning their claims to a special purpose vehicle (SPV) that acquires the claim and may bring the action on its own behalf. This is a possibility that has been barely used in Spain in the past but seems to be increasing sharply to claim damages arising out of antitrust infringements, as it is common in other jurisdictions like the Netherlands. Meanwhile, the parliamentary process to pass the Royal Decree-Law 9/2017 into a Law represents a great opportunity to introduce amendments in the Spanish regulation of collective actions, in order to improve it in line with the Recommendation of the European Commission of 11 June 2013 on common principles for injunctive and compensatory collective redress mechanisms in the Member States concerning violations of rights granted under Union law. In this regard, the Spanish parliament is currently analysing an ambitious proposal that may amend the Article 11 of the Civil Procedure Law to create a real opt-out class action to enable any consumer in representation of the class – not only consumers’ associations – to claim damages and bring class actions before the court when dealing with ‘diffuse interests’. The new procedure goes in the line of the US regulation on class actions – Federal Rule No. 23 – as it (1) includes a pre-certification state; (2) requires the accreditation of the numerosity, commonality, typicality and adequacy; and (3) allows the parties represented to withdraw from the claim by a simple communication to the court. 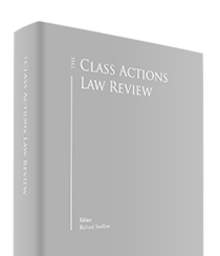 Even though the proposal has received quite good opinions, most of the scholars and subject-matter experts consider it insufficient and advocate a deeper modification of the Spanish regulation on class actions. Some even have brought forward the possibility of creating a specific law on class actions instead of having several articles scattered in the Civil Procedure Law. 1 Albert Poch Tort and Andoni de la Llosa Galarza are founding partners at Redi Litigation.